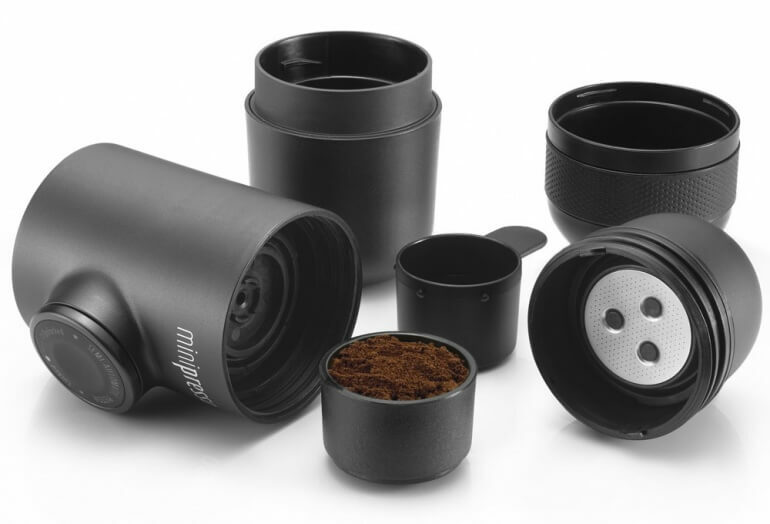 This cool little coffee maker is perfect for making true espresso on the go or with limited space. 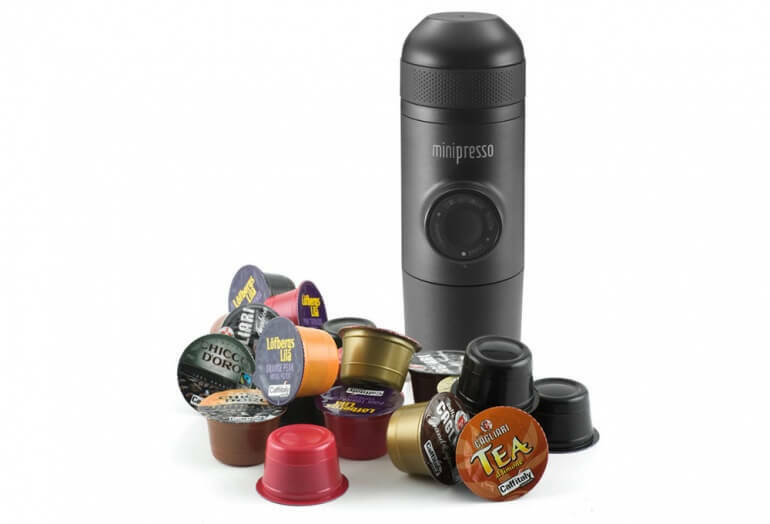 The MiniPresso from Wacaco is a small format espresso maker which is perfect for use on the go, in hotel rooms, college dorms or even at home. 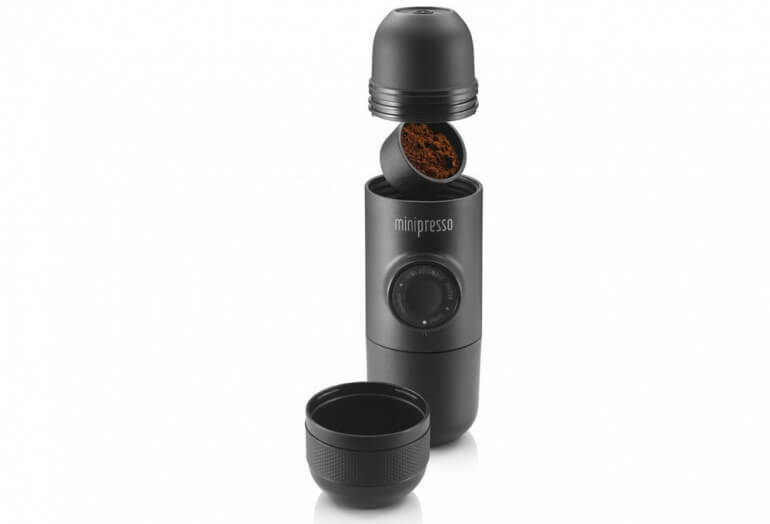 The coffee maker is a single pill shaped unit which includes all everything you need in one piece - even the cup to enjoy your espresso! The espresso that this pump action brewer creates is highly respected. You need to clean the unit between each use and you are limited to a single shot of espresso unless you invest in the $25 Tank+ which increases your water capacity to 4.05 oz / 120 ml. Operation is pretty simple and everything you need is stored right in the unit itself. Add coffee grounds or coffee pod using the scoop (for grounds). Fill the water tank with hot water. Unlock the slide out side pump and pump your coffee into the included cup! Wacaco has created two versions of the MiniPresso. The GR is the ground coffee version which accepts 0.25oz / 7 gr of your favorite ground coffee. The CA uses coffee pods from Caffitaly System & Tchibo Cafissimo. 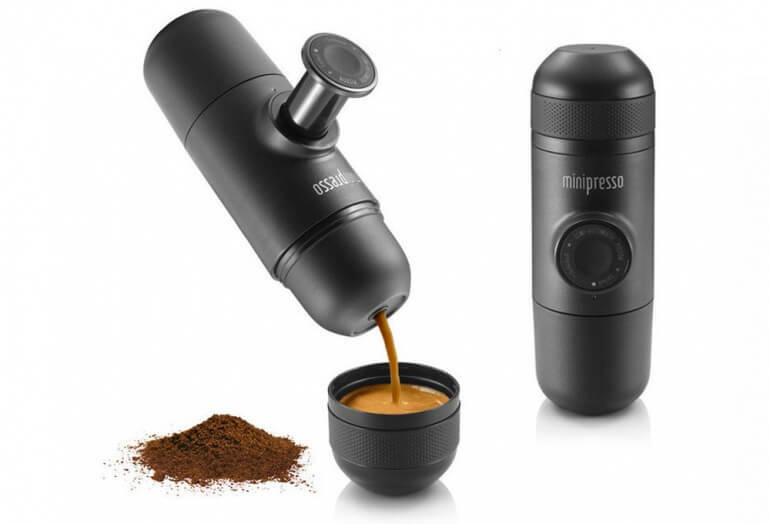 If you're looking for a cup of espresso no matter where you are, give the MiniPresso a try! Also be sure to check out the Handpresso for another take on hand-pumped espresso. Coffee Type: Availble in Ground (GR) or Coffee Pod (CA) versions.